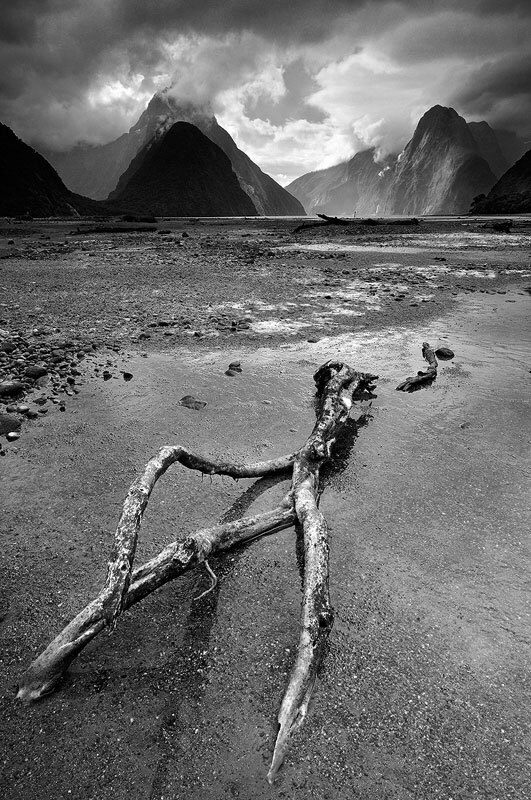 Along the shores of Milford Sound in Black and White | Milford Sound, New Zealand. An old decayed section of a tree that looks like the skeleton of some kind of creature. When processing this image I figured it could also work well in black and white.